Traffic Watch NI said that 148 high priority incidents were received over the past 24 hours. 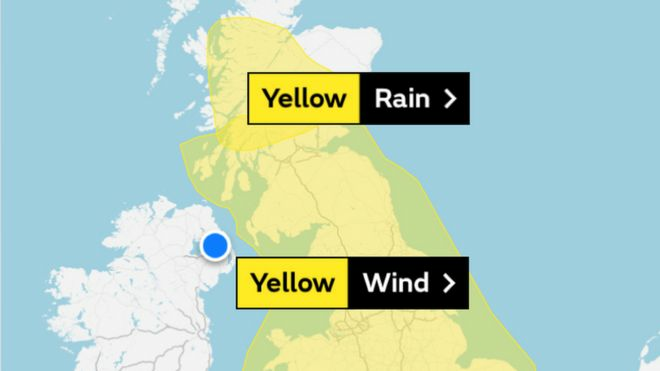 The Met Office’s wind warning, which was in place until 15:00 BST on Saturday, has now been cancelled. In East Belfast, the A2 Sydenham by-pass has a lot of surface water, with one section of road totally flooded. Drivers using both lanes after the George Best City Airport and Dee Street Junction have been asked to slow down and approach with extreme care. In Londonderry, there are stretches of flooding on the Foyle Road between Craigavon Bridge and Letterkenny Road. In Kilkeel, the Ballyardle Road has been reopened after a tree was blown over. 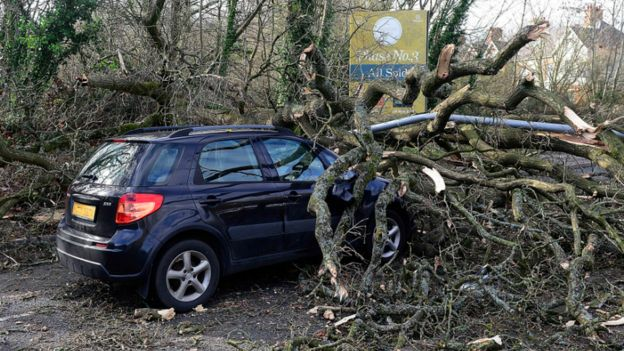 One driver had a lucky escape in south Belfast after a tree fell onto their car on the Milltown Road.